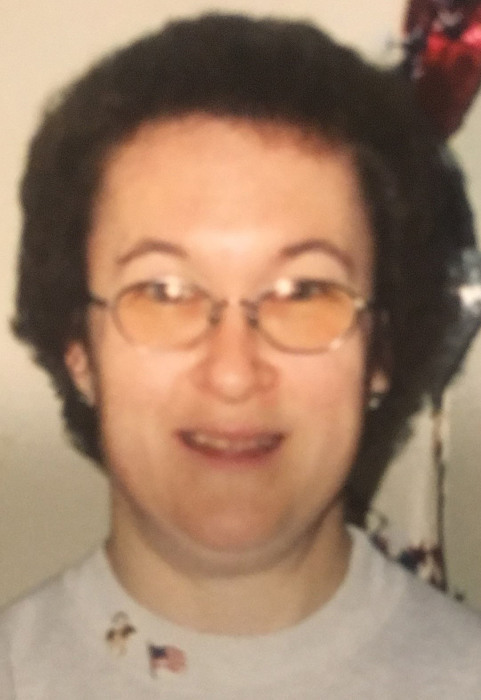 Rochester: Died peacefully at home on January 24 at age 56, surrounded by love and her cherished collection of Beanie Babies and stuffed animals. She was the loving sister of Susan and Christopher (Cynthia), and aunt of Rachel, and was recently predeceased by her beloved parents, Walt and Marie. Katie was a graduate of the Riverview School (MA) and Rochester Business Institute, working 15 years for Rochester Midland Co and 5 years for Wegmans, where she was awarded Employee of the Month. She enthusiastically volunteered at Highland Hospital and Episcopal Senior Life. A life-long member of St John the Evangelist, Katie played flute and sang in the choir for most of her life. Uniquely gregarious, she was quick to know your name, tell you she loves you, and most characteristically, give a big hug. Her smiles and hugs will be missed. Katie was surrounded by a community of loving and caring individuals who helped her maintain her independence, including Grace Harris, her Compeer for nearly 40 years; staff at South View Towers, Chase S. Clinton branch, and South Wedge Pharmacy; members of St John; Dr Edith Dale, Nancy Pecora & staff; and so many others. Her family is deeply appreciative of the excellent care Katie received from ComForCare and Lifetime Care during the last months of her life. A Funeral Mass will be held on Saturday, February 16, at 11 AM at Peace of Christ Parish at St John the Evangelist Church, 553 Humboldt St, Rochester, NY. Reception to follow in the church hall. In lieu of flowers, contributions may be made to Compeer Rochester, 259 Monroe Ave, Rochester, NY 14607.